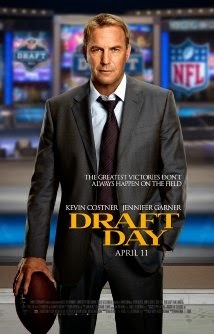 Plot: An NFL General Manager breaks from the norm to have an incredible draft for his team. DRAFT DAY is a well-done, fast-paced film that, thankfully, is about relationships and the art of the deal rather than football. It's not nearly as good as JERRY MAGUIRE, but it's born of the same ilk. I found myself engaged and entertained throughout the movie even though I'm not a fan of the NFL and I find the draft to be painfully boring. (I know, I'm weird). This is a plus for the film, because it will appeal to a much broader audience than just the NFL fan. Costner and Garner are vanilla as usual, but the action and intensity of the story keep things moving along well. It's a good date movie because it's feel-good, you don't have to think too much and it has wide appeal. 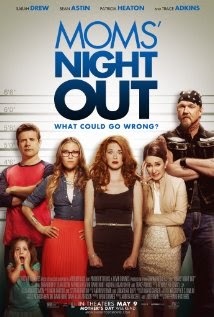 Plot: A group of moms head out for a well-deserved night away from the kids, but the night turns into a disaster.